Read about Shane’s TEDx talk in Switzerland; an insider views on communities, cooperatives and social businesses; a case study of a French business that’s taking a leading role in sustainability; a process for mapping community assets from Sweden. The Transition Research Network is pleased to announce the launch the Transition Research Network ‘Marketplace’. 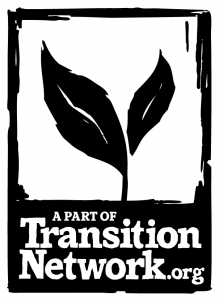 We invite both transitioners in need of research and researchers interested in working with the Transition movement to use this resource. The Marketplace is a simple webpage with links to forms for both transitioners and researchers. There are also links to spreadsheets for research offers and another spreadsheet for research requests previously submitted. If you are interested in using the marketplace, please fill in the form that best fits your situation. As well as submitting a form, you can view the proposals already submitted on the spreadsheets. Please contact projects directly using the contact details on the spreadsheet – link below. Ongoing developments for this project include an opportunity to advertise the new mechanism in a new ‘primer’ for Transition research. This will be distributed at the Arts and Humanities Research Council’s Connected Communities showcase in London in March and at subsequent Transition Research Network events. The first issue of Transition Free Press has been out on the streets for a month now and great feedback has been coming through. People are offering stories, sending congratulations, making suggestions. There have also been nearly 5,000 reads of the on-line version. Best of all the distributors have been out selling the 11,000 copies of the paper (and hopefully making a bit of a profit for their initiatives too). We’ve had reports of brisk sales in fairs, festivals, farmer’s markets, film showings around the UK, as well as outside tube stations in London and on remote Scottish islands. The other great news is that the crowdfunding appeal with BuzzBnk reached its first target of £10,000 and it also won a £4000 award from the Network of Social Change. So a Big Thank You to everyone who took part. Transition Free Press is now officially a social enterprise and work on Issue 2 in May is underway. The deadline for editorial and advertising (starting at just £35) is 15 March. Lost in Transition? Send the Agony Collective your dilemmas and their responses may be in the next issue <tfpagony@transitionfreepress.org.uk>. Subscribe! Although initially only bundles were on offer, you can now sign up for your own subscription. And if you want a bundle of the next issue get in touch now. The Transition model originated in a market town and inevitably some of it’s suggestions and tools are specific to this kind of community. So what happens when you try and apply Transition thinking to a city community? How do you translate? There are many differences between a market town and a city, so how do you translate the Transition approach that originated in a market town (Totnes or Kinsale) to make it applicable to a city? In a city it is harder to achieve saturation, because there are so many unique communities within it which only partly overlap, and the population itself is dynamic and mobile. But there are some special joys to being part of the life of a city. London, a huge sprawling city, disconnected entirely from its food supply – both geographically and psychologically, where people gather from every corner of the world, and often move frequently, didn’t seem a likely candidate for a movement of localism. Growing is fun, eating is interesting, saving energy by wearing an extra jumper means saving money but buildings and the construction of new buildings, particularly new homes, is the unlovely, the technical and the very expensive side of being in Transition. Yet when it comes to saving CO2 it is key. A report on moving into the new Lancaster Cohousing community where private homes mix with communal living. Earth closets only go back a generation so what was wrong with them that we gave it all up for water based sewerage systems? Transition Homes CLT in Totnes are about to exchange on a piece of property on which over twenty affordable homes will be built. This week the Social Reporters wrote about ‘recipes for austerity’ – a how to guide to low carbon living in financially reduced times, plus a delicious, fresh, and cheap recipe every day. At a time of year when pressure is on to spend money we don’t always have, on things we often don’t need, and particularly for parents to buy expensive plastic toys, imported from China, the Transition Dartmouth Park’s Christmas Give and Take was a joyful celebration of giving and receiving, but without the money. Austerity? I want to eat well, with a clean conscience, on a low budget. But is that possible? When it comes to living with austerity, my family has a distinct advantage: we’re used to making do and are experts at enjoying life on the cheap. In the fifties and early sixties, austerity wasn’t mentioned – it was just the way life was. For her final week as editor with the Social Reporting project, Jo Homan decided to do four recorded interviews of people she would describe as « Local Heroes ». But as so many people told her that the ‘H’ word was unacceptable, she had to take a hard look at it. As a child I wondered why she was always out at meetings, talking earnestly to people on the phone and filling our kitchen table and living room with boxes of paperwork. Jo Roach is a local poet who is truly embedded in her area. Find out how she discovered poetry, her connection to the area, how she manages to put the « fun » back into fundraising. Local writer and journalist, Nicolette Jones, is almost an accidental local activist. Pat Cardis, the headteacher at my children’s school. She will be retiring this summer, after 44 years service! But it is not just her perseverance or attachment I want to celebrate, it’s her qualities as a leader. Beans are the wise staple of the downshift kitchen. We should be looking at our high street economies to help them thrive and be resilient through hard economic times says Simeon Jackson wishing that the council would take on a systems thinking approach. Here’s a great story about the power of just doing stuff that grew from a longing to leave London and was spurred by a desire to live in village where you knew your neighbours. A practical exploration of the Heart & Soul dimension of Transition. This two day workshop is for anyone interested in the inner aspect of the Transition process who wants to deepen their understanding of this area, connect and share experience with others, and be inspired to take the next steps for themselves or their group. The territory of « Inner Transition » is broad, powerful, fascinating and sometimes challenging to define, to explain or to organise. Click here for full details on the course and booking information. Interested in hosting an Inner Transition Training where you are? Please email training@transitionnetwork.orgfor more information. SuperHomes are older homes refurbished by their owners; most have superior insulation; many have alternative heating sources and some produce their own energy. Visitors can expect to come away with plenty of ideas for their own properties and a better understanding of the home improvements now eligible for Green Deal finance.